You brought home an adorable cute little puppy. Everyone is very excited! Suddenly those little puppy teeth are like needles and your hands are cut, your arms are bruised, your children are afraid and this is not the good time you had in mind. Not to mention there is an accident in the house a couple times a day, rugs have been chewed, ear phones and flip flops destroyed! Aaarghh! The only thing worse than all the puppy problems, is a teenager without their headphones, the “good ones”! On top of that this family project is now all up to you. Or ... you have a new rescue, beautiful sweet dog with eyes that melt your heart! Suddenly the dog is very protective over food and doesn’t like anyone new coming in the house. Very difficult to walk on a leash, lunges at other dogs on a walk and sometimes people. You are not enjoying the dog, not sure you can trust the dog, but you really love her/him and ... you just want this to work for goodness sake! We can teach you to change all of that faster than you might think! At Peace of Mind Canine, our job is to help you build a relationship with your dog. You will learn to understand the dog's perspective. Get clarity on how behaviors develop and how training effects behavior. 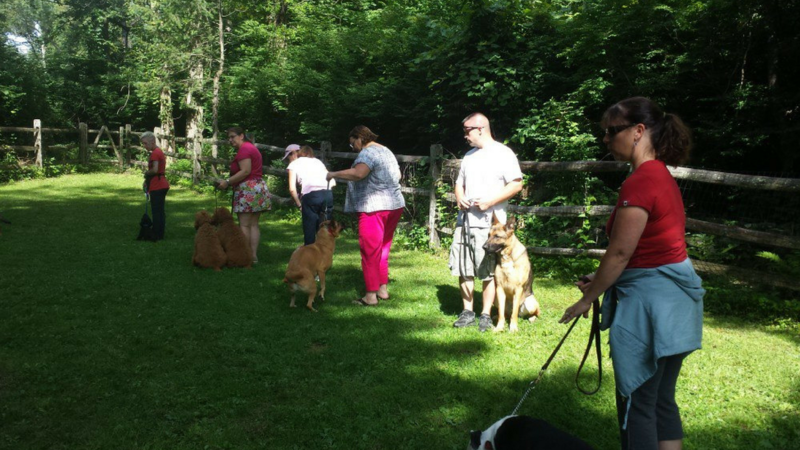 We want you to understand why we teach certain commands and how to use those commands to teach your dog to be a calm, enjoyable companion and family member. We will teach you and your dog how to communicate and adapt to a new life together. That is what we do best here at Peace Of Mind Canine! Book your free assessment call right now! We Can Help End Your Frustrations! Jack Crann is a certified master Dog Trainer and Behaviorist and Dog Show Host. 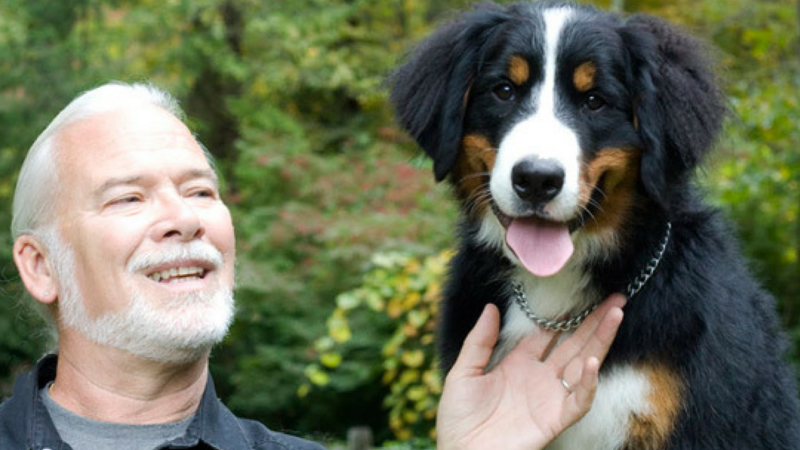 He started his carer over 25 years ago after graduating from the prestigious National K-9 Center for Dog Trainers in Columbus Ohio, a highly regarded leader in the education of certified dog trainers. Jack continued to study at graduate workshops at National K-9 with behaviorists such as Ian Dunbar in California and the world renowned John Rogerson of the Northern Center for Animal Behavior in Yorkshire, England. 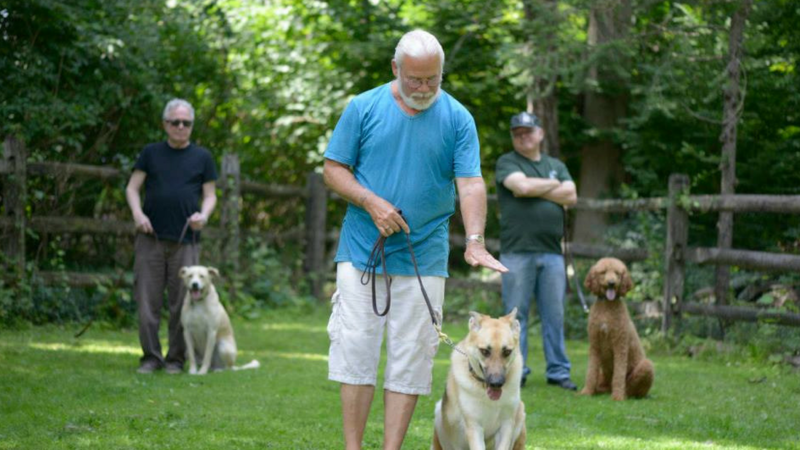 ​As a teacher and trainer for more than three decades, Jack has always been a good communicator with dogs and people. He understands that every person has his or her own way of learning. Peace of Mind Canine is a business that he started over 20 years ago so that he could offer personalized dog training. It has since been expanded from a training facility to a company that gives you peace of mind in every aspect of the dog owning experience. Olivia discovered her love of dog training when she started working at POMC 3 years ago. This past year she became a certified dog trainer at “A Closer Bond School for Dog Trainers” in Chicago, where she trained with Scott Mueller and Katy Cushing. She has always had a love for animals, working with them her entire life, and any free time spent horseback riding. She is also certified in animal first aid and CPR, as well as having taken many vet science and animal behavior classes.